After the successful promotions of new release (Launch Promotion - entire production batches were sold out in record time!) 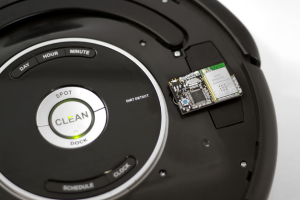 we give you another chance to start playing with the new revision of RooWifi: Roomba Wi-Fi Remote with this pre-order! The new power source design is more efficient than ever (~90%) and gives more power to Wi-Fi signal. 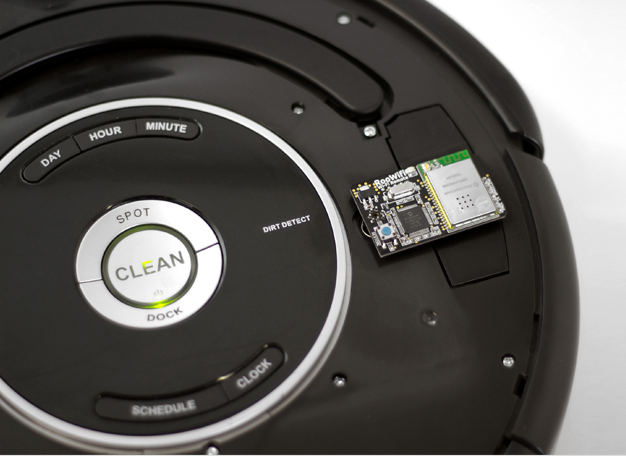 Take your RooWifi, plug in your iRobot Roomba and turns it in a Smart Roomba with RooWifi : The Wi-Fi Remote for Roomba!! If your Country is not listed in the CheckOut Page, please put in contact directly with us: info@roowifi.com. Pre-order of RooWifi Rev.2: The WiFi Adapter for Roomba! !